What type of shells did you use? All shells are 8 ply Keller VSS Maple with reinforcement rings on the snare drum. What type of drum hardware did you use? All of my hardware is from drummaker.com. I used classic pearl style drum lugs along with the classic style bass drum claws to get a 70s style looking kit. 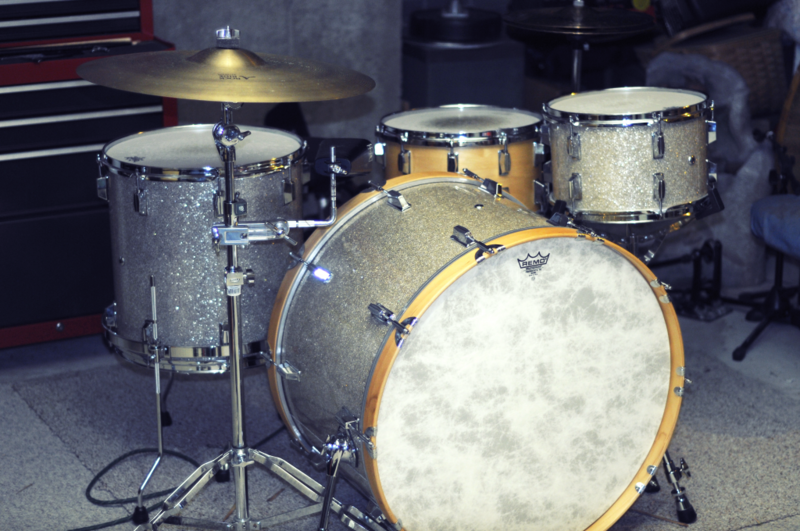 What type of finish/wrap did you put on your drums? The Wrap is a silver glass glitter. What was your favorite part of building your drums? My favorite part in building process was putting on the wrap and beginning to see what the drums were actually going to look like. What was the hardest part of building your drums? The hardest part for me was making sure all my measurements were exact and all the holes were drilled right. I was always nervous before drilling any holes into the drums. How long did it take you to build your drums? It took me about 6 months to finish my set. 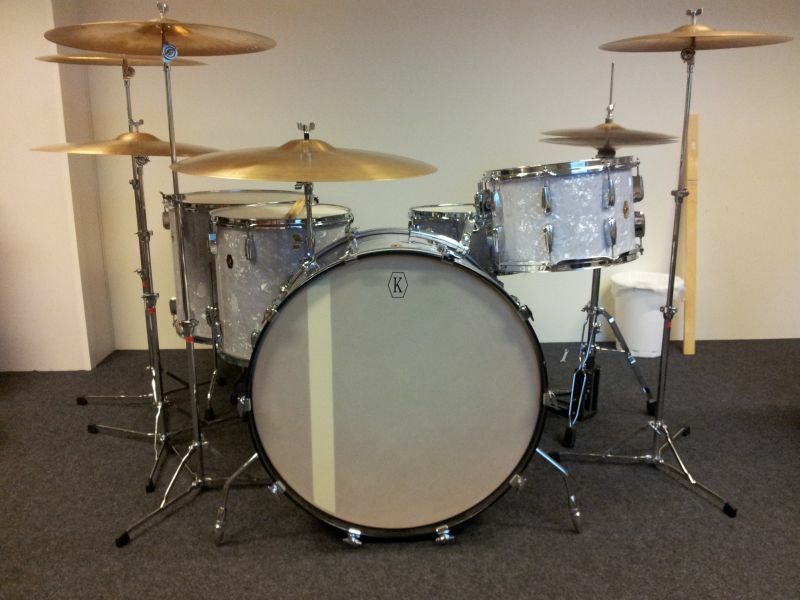 How much money did it cost you to build your drums? I want to say around $1500-1600. I didn’t buy everything at once so I forget exactly how much the total cost was. How did you learn about building custom drums? I did research online, watching YouTube videos and read your eBook. Do your research and read the eBook before you begin to build your custom drums. It’s an exciting process to be building your own custom drums, just be patient with it.